Pablo Escobar gained notoriety throughout the 1980s as the most powerful leader of the Medellin Cartel in Colombia.1 His influence and brutality can be effectively contrasted with today’s infamous Mexican outlaw, Joaquin “El Chapo” Guzman, the leader of the Sinaloa Cartel. The Colombian drug lord’s reign came to a violent end in 1993 when he was shot to death during a police raid. 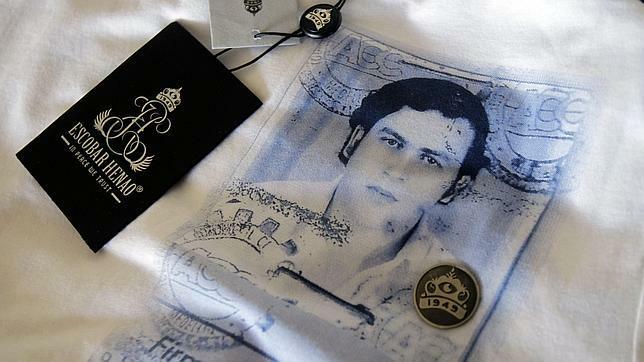 Today, almost 20 years after his death, Escobar’s son, Juan Pablo (who has now changed his name to Sebastian Marroquin), has launched a clothing line that includes t-shirts with photomontages of his infamous father. The son’s decision to make a profit out of his father’s violent and extravagant life has to be placed in a wider context of how Latin American society remembers the region’s violent period and the drug-generated celebrities of the 1960s to the mid 1990s that soaked the land with their blood. Such a discussion would necessarily have to include an inventory of the iconic characters that illuminated the period and gave it such infamy. At its most garish moments, clothing lines that immortalize individuals from Latin America’s tawdry epoch (such as the Argentine revolutionary Ernesto “Che” Guevara to the aforementioned Escobar) are one of the ways the region remembers how to celebrate its most notorious figures, and can profit from an unremittingly and profitable past. Other venues, through which the criminal, but glamorous, lives from that period are addressed, include the production of movies and soap operas. The proper way to remember the period’s operatic past becomes a contemporary issue as new generations of Latin Americans grow up thrilled by these famous names but without having experienced the atrocities that made their ancestors household names. This is all the more reason why a properly balanced education makes this controversial history so necessary and compelling. A more recent example of “violent threads,” is the aforementioned launch, by the son of Pablo Escobar, of a clothing line designed to honor his father, called Poder Poder (Power Power).4 The clothes that are being manufactured today include t-shirts with Escobar’s birth certificate and credit cards, along with photos depicting various stages of his life. One of the t-shirts even has the image of Escobar’s arrest warrant. The clothes are already available for purchase in several countries, including Spain and Guatemala. Therefore another question that must be asked regarding the fate of the Colombian drug lord is whether he will be remembered in a dramatically similar way to how Guevara has been so heroically remembered. Factors that would aid this unwanted development include the Poder Poder clothing line and the controversial initiatives the Colombian drug lord carried out in poor communities in his native region of Antioquia. These projects included the construction of roads, as well as sports facilities, due to their connection with his hometown, in order to promote a positive image of himself while he was alive. While freedom of expression should be supported and protected, it is a tragic development that a systematic murderer and assassin like Escobar has the potential to be immortalized, or remembered in any positive way, considering the loathsome actions he carried out throughout his life. It is this kind of educational and social dilemma that several regional countries have generated and will likely continue to do so for decades to come. How the average citizen of Latin America remembers the region’s violent past will become an increasingly important point of examination in the coming years. In regards to clothing lines, carrying the likes of the emblematic garbs of Che Guevara and Pablo Escobar throughout trade shops in the hemisphere, it is debatable to what extent these businesses, besides making a prodigious profit, are also promoting a positive image of the individuals they portray. In Guevara’s case, the combination of the publication of his memoirs, the 2004 biopic, and his camisetas have immortalized him as a positive, yet perhaps overrated, towering figure of the Cold War. 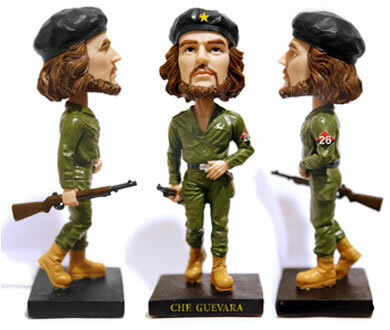 According to some Latin American experts, Guevara is an irrelevant, romantic and colorful, if misguided, figure of the Cold War, whose commitment to the revolution has been based on geopolitical farrago and advancing pathological causes via extreme violence. Nevertheless, decades after his death in the Bolivian jungle, he remains a positive symbol for new generations. It is still too early to tell if a similar development will occur with Pablo Escobar, which makes it even more important for the Colombian government to educate its youth regarding the country’s recent history, including the plethora of bloody deeds carried out by Escobar and his Medellín Cartel. Despite ongoing elevated levels of violence in Mexico with the drug cartels, the Mara gangs in Central America and narco-terrorism in Peru and Colombia, an optimist could say that, hopefully, the region has managed to slowly turn a page regarding its violent past. Hopefully, we won’t see any more dirty wars, military dictatorships, or massacres, though this may just be wishful thinking. In any case, after having survived a particularly dark chapter of its history, Latin America can today better deal with addressing its often shameful past and how the region’s youth should be educated, including comprehending the significance of wearing a Guevara or Escobar t-shirt in some steamy last-chance hotel. 1 For a good history of Escobar’s life, see: Bowden, Mark. 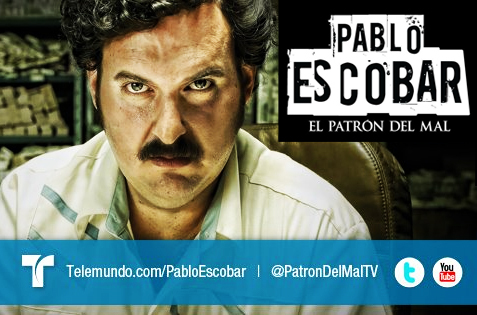 Killing Pablo: The Hunt for the World’s Greatest Outlaw. Penguin Books. April 2002.